Learn to Skate USA makes these lessons easy and fun. 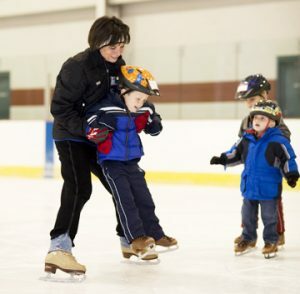 Through our world-class curriculum and nationally certified instructors, you will be enthusiastic about learning to skate—from your first steps on the ice until the time you reach your goals. Whether you wish to enjoy the recreational benefits of skating or dream of Olympic fame, this is the place to start. 45-minute classes consisting of 30 minutes of group instruction, followed by 15 minutes of practice time. 30-minute classes consisting entirely of instruction. Free Gift: Body Zone makes it easy for Learn to Skate participants to show off what they’ve learned in this program. All participants will receive a complimentary punch card good for five free visits and skate rental to one of our popular public skating sessions. A $60 value. No Skates? No Problem. We have plenty of complimentary pairs for students available at no charge for all classes. * We ask that you please arrive 15 minutes early before class. There’s a lot to do before we begin! Children must be potty-trained to be considered for Tot Learn to Skate. Helmets (bicycle, ski or ice hockey) are required for skaters under seven. Loose fitting, warm clothes and gloves are recommended. Students are grouped according to age and ability, starting at age three. Check out the Reading Eagle’s October 2012 feature on Learn to Skate. Mission: To provide a fun and positive experience that will instill a lifelong love of skating. Teach children and adults the fundamentals of ice skating while building confidence and skills through each lesson. Provide a progressive curriculum that ensures success from the first steps on the ice to the mastery of advanced skills. Promote the health and fitness benefits of ice skating. Equip each participant with the foundation necessary to reach their goal, be it recreational or competitive in nature. A four-year star on the Ice Capades tour, Audrey Turner is also a bona fide hockey mom. Her husband was a Division I hockey player, her three sons all played prep school and college hockey and her daughter was a Flyers ice girl. Turner was also a show publicist for two years with Ice Capades. She attended Merrimack College in Andover, MA. 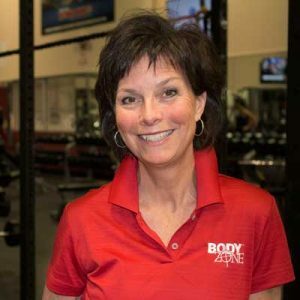 Check out Audrey’s BZ personal trainer profile too!